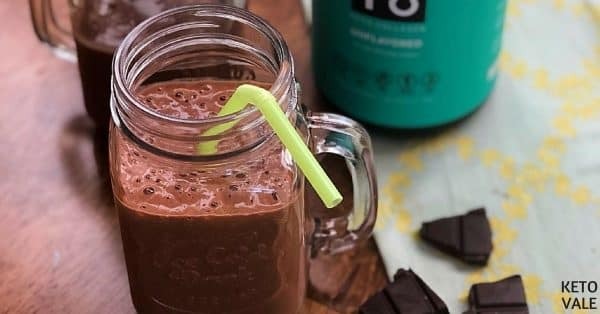 This avocado collagen chocolate smoothie is packed with healthy fats and protein that can keep you full for a couple of hours. 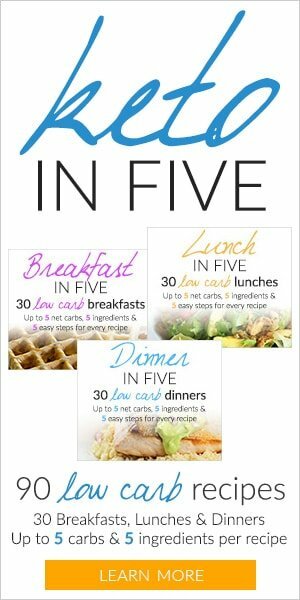 Because of the calorie count and nutrition, this is a perfect meal replacement for breakfast, lunch or a snack, especially if you are on the go or just want to keep it light. With the calories from the avocado, almond butter, and chia meal you will get all the nutrients a proper meal should provide. Adding to the benefits of the collagen this is a very healthy smoothie! And don’t forget this is also a vegan recipe. Depending on how thick you like your smoothie to be, you can adjust the amount of water used in this recipe. For those who are not familiar with collagen, we wrote an entire article about the amazing health benefits of collagen and why you need to consume it daily, especially if you’re a woman. 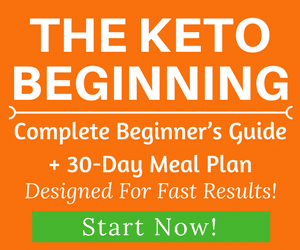 You can check this article here! Basically, your body needs collagen to rebuild skin, joints, cartilage, tendons, hair, nails, etc… If you’re having loose skin after losing weight or facing hair loss issues, supplementing collagen is one of the best things you can do for your body. Many women swear by this product to keep their hair, nails, and skin healthy and look younger. 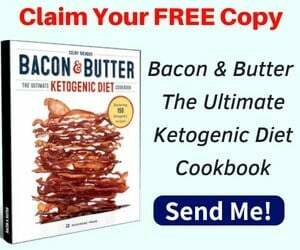 When it comes to choosing the best collagen, you need to make sure that it’s high quality and keto-friendly as well. Be aware that some products might use artificial and fake ingredients. 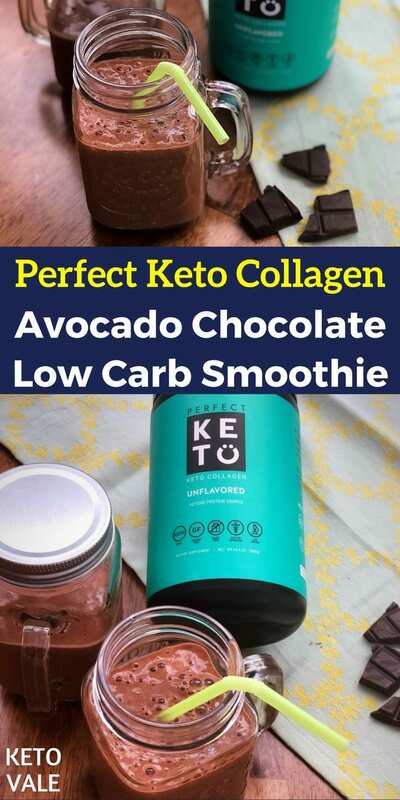 The product we use and recommend and also loved by many women in our community, is Perfect Keto Collagen. 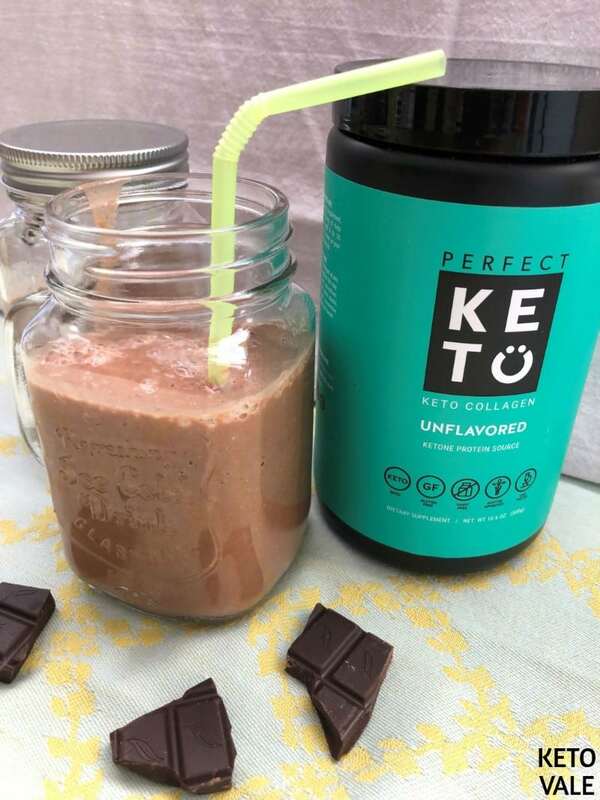 Perfect Keto products are not only high quality (100% grass-fed collagen) but also have great taste. 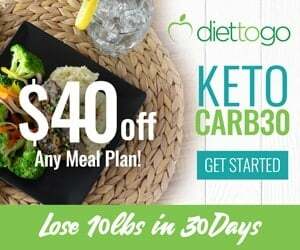 Beside all the incredible benefits you will get from collagen in this product, their keto collagen is also paired with MCTs which is great for energy, mental focus, fat-burning and ketosis. In case you want to know what MCTs are and how they benefit your body, how to use and which brand to buy, check our MCT reviews here! 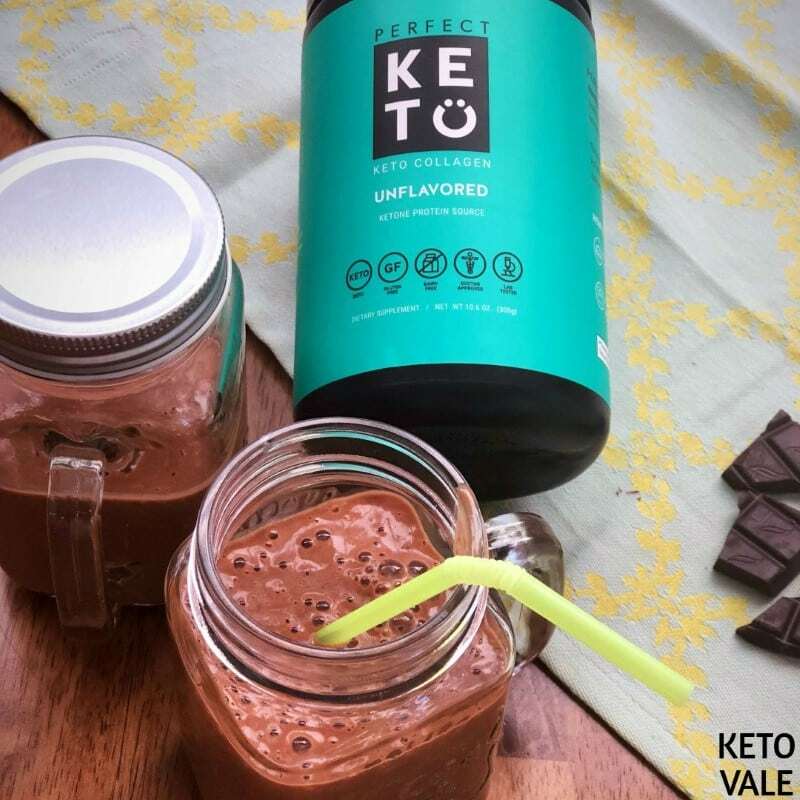 If you decide to try this product from Perfect Keto, don’t forget to use our coupon KETOVALE for 20% OFF! 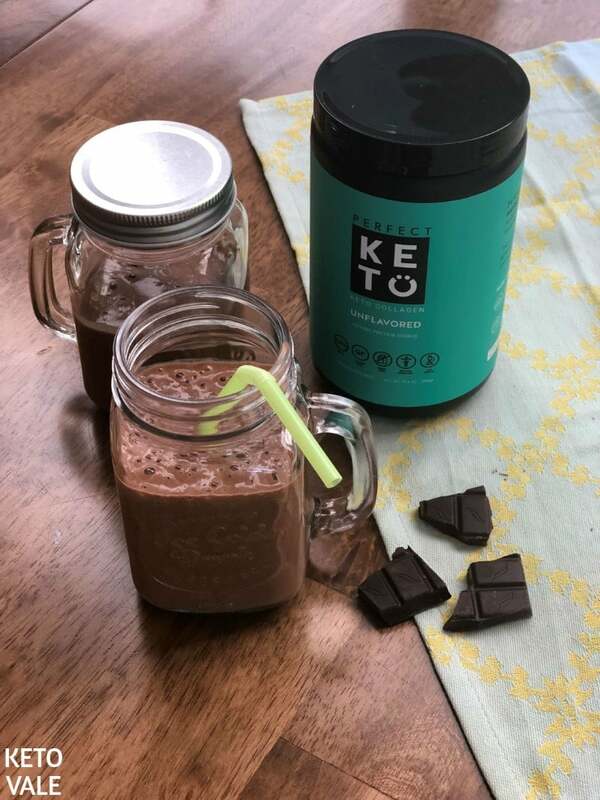 Collagen protein is one of the best keto friendly protein powders for your ketogenic diet. 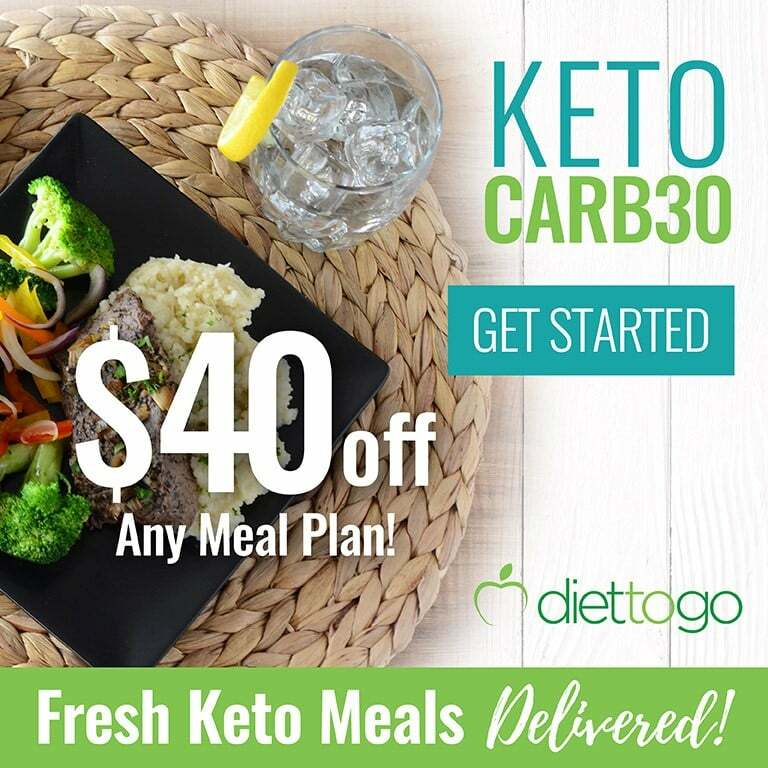 They are great for coffee, smoothie, milkshake and other low carb drinks. You can modify this collagen smoothie recipe using any other nut butter, or using coconut milk, or mixed heavy cream with water in the place of the almond milk. Add all ingredients to your blender and blend well. Ensure that all of your ingredients are well-combined. Best served cold. Place all the ingredients in a blender and mix well. Make sure that all the ingredients are thoroughly combined. Serve cold.